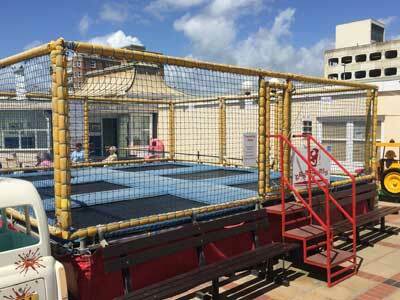 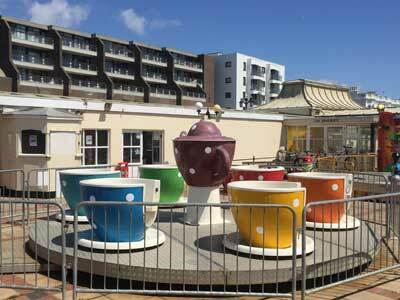 In the centre of the complex you will find our kids rides which are perfect for younger children up to the age of 14. 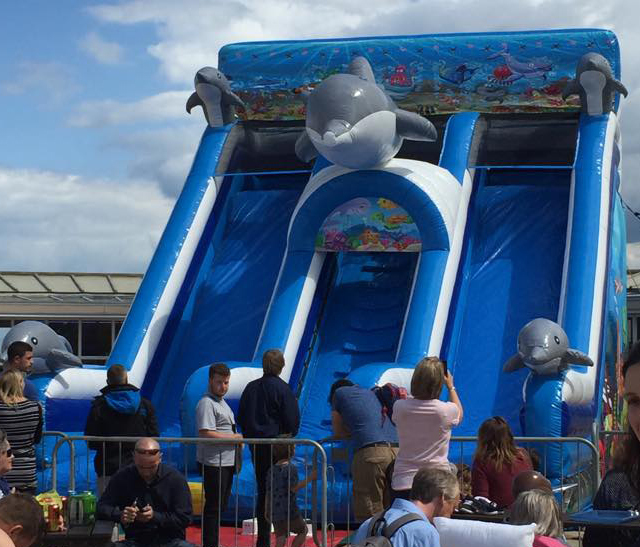 Our rides include; the Disney Fantasia train ride, a traditional teacups ride, our giant inflatable dolphin themed slide, trampolines and the flying jets ride. 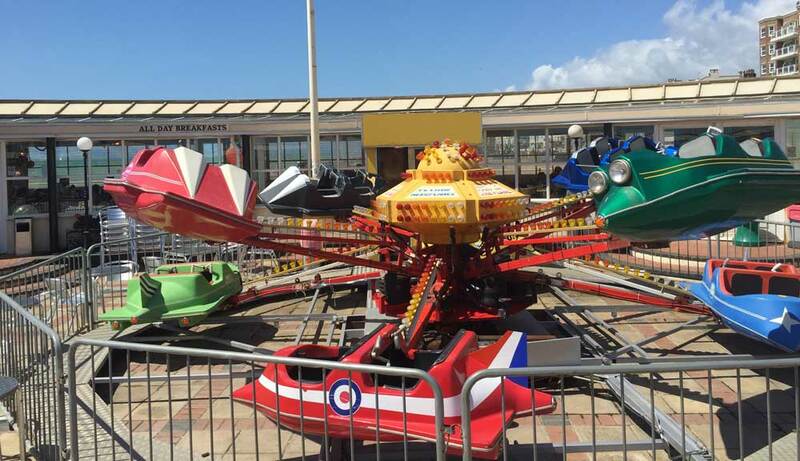 Our rides are competitively priced with families in mind and with our great value unlimited play kids ride wristbands the kids can have hours of fun without hurting your pockets whilst you sit back and relax in the sun and enjoy the superb sea views from our friendly café. 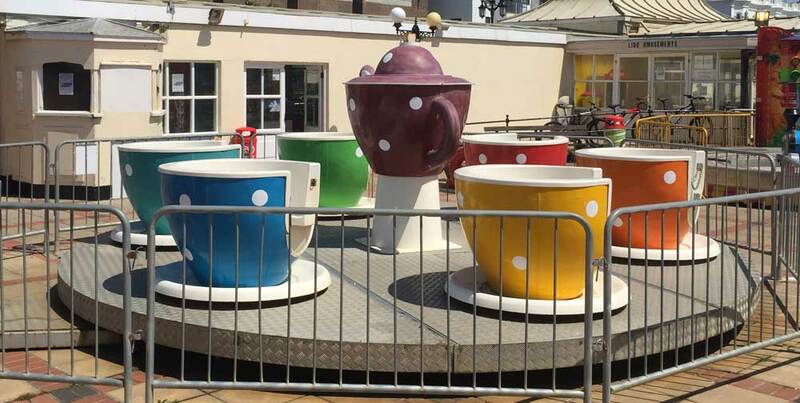 Teacups - £1 per child, £2 parents with child (50p if child has wristband). 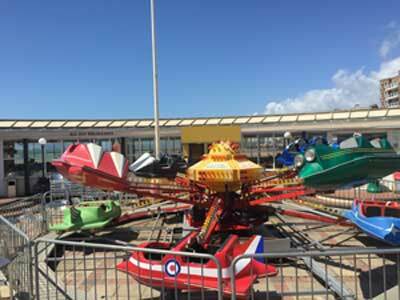 Our kids rides are independantly inspected every year by registered ADIPS and RPII inspectors in accordance with guidelines published by the Government's Health and Safety Executive (HSE). 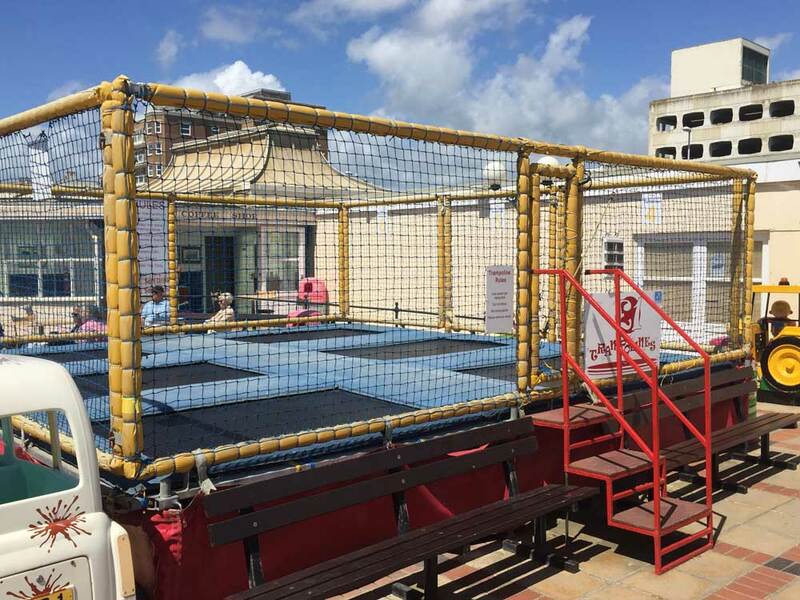 Each of our rides is issued with an ADIPS or RPII safety certificate. For more information please visit the ADIPS (www.adips.co.uk) or RPII (www.playinspectors.com) websites.